If you want to make a statement this summer, why not wear it? 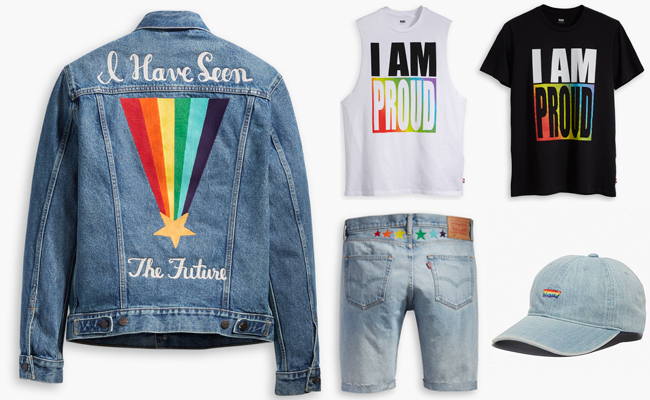 Inspired by LGBTQ communities around the world, these Pride-inspired pieces also serve as reminders that the fight for tolerance, diversity and equality is ongoing. Here’s a roundup of some of our favourite rainbow designs you can pick up this summer. 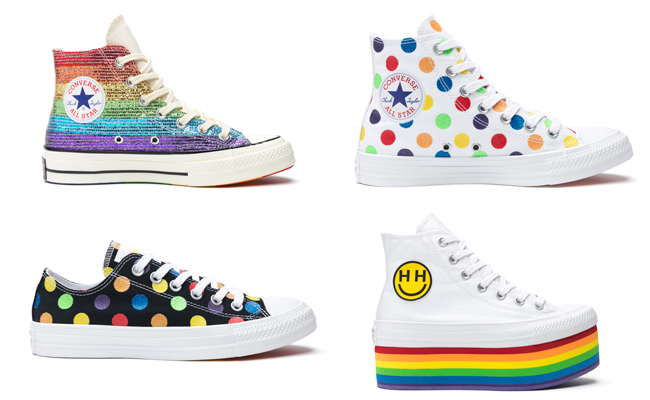 Converse has partnered with LGBTQ activist Miley Cyrus for its annual Pride collection. This summer, the iconic Chuck Taylor All Star sneaker gets a bright and bold makeover with various Pride-inspired versions of the classic HI and OX silhouettes. All net proceeds of the rainbow-inspired kicks will support LGBTQ+ youth community partners globally, including the Happy Hippie Foundation, It Gets Better Project, Minus 18 and RainbowYOUTH. 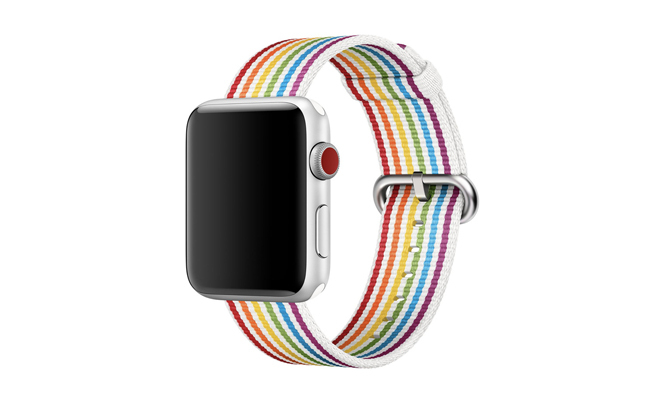 Apple’s Pride contribution is an all-new, rainbow band for their Apple watch. The 2018 Pride edition woven nylon straps are available in both 38mm and 42mm sizes and are designed to perfectly match the brand’s new rainbow watch face. A portion of the proceeds from the Pride Edition watch band will go to GLSEN, PFLAG, The Trevor Project, Gender Spectrum, and The National Center for Transgender Equality in the U.S., and ILGA internationally. All of the pieces in Nike’s 2018 BeTrue collection for men and women feature prominent symbols of pride that have been reclaimed by the LGBTQ community: the colour lavender and the pink triangle. 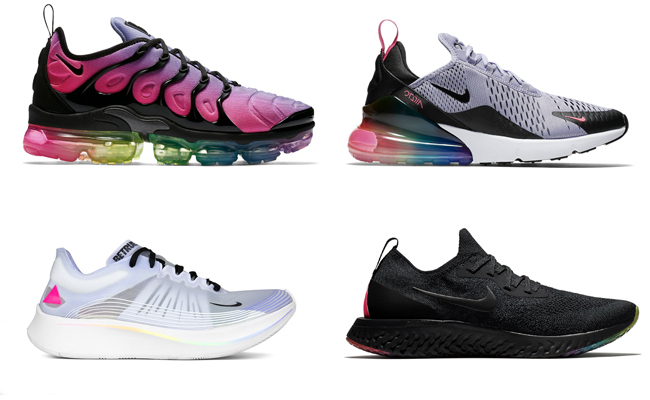 The apparel collection includes tees, cushioned running socks, sunglasses, a hat and even a vintage-inspired hip pack, while the footwear collection features the Vapormax Plus, Air Max 270, Epic React, and Zoom Fly. The items will be available at Nike Running locations and nike.com. Bonus? Nike is donating a portion of all BeTrue sales to organizations empowering the LGBT sports community. 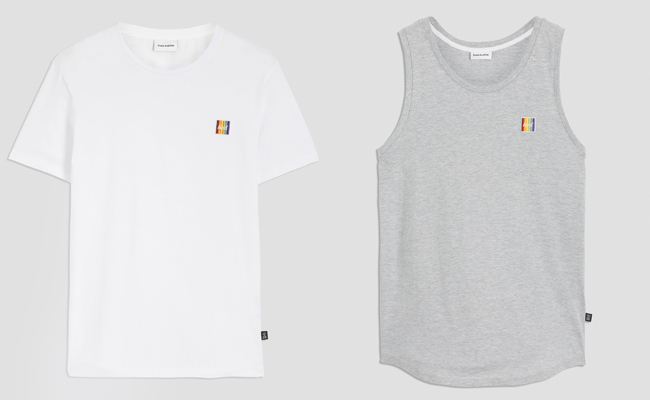 This summer, Frank And Oak introduced two gender-inclusive Pride designs to their popular And* collection, which is made by Petites-Mains, a Montreal-based organization devoted to helping women in need. 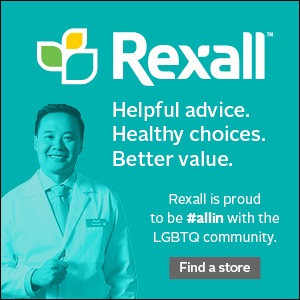 This unisex collection includes a white T-shirt and a grey tank top, with $5 from the sale of each item being donated to Montréal Pride. 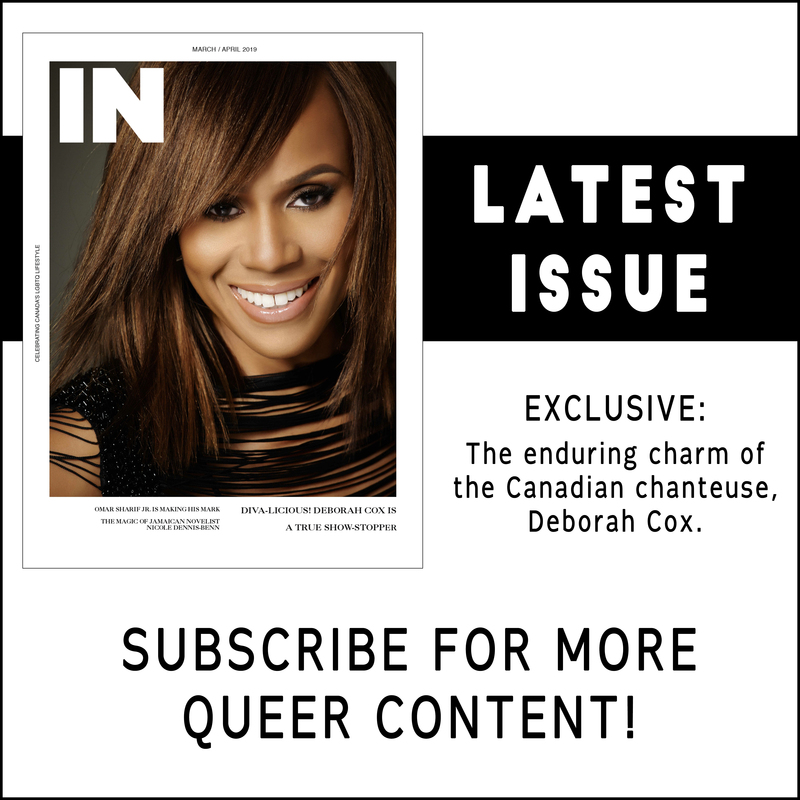 Toronto’s coolest tattoo shop is celebrating Pride by collaborating with the Get Real Movement, a Canadian non-profit organization whose mission is to energize the LGBTQ+ youth and their allies to voice their stories. 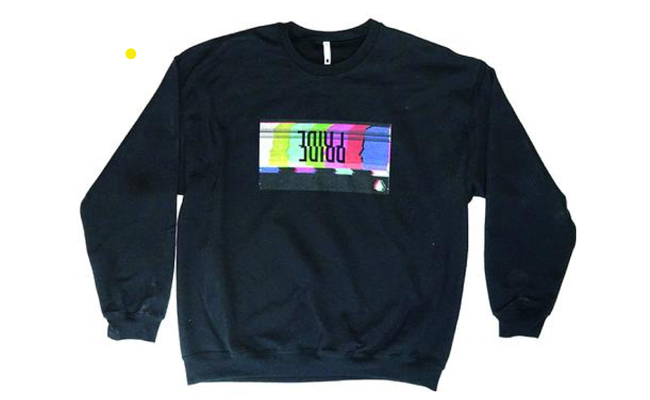 The cozy black sweatshirts feature a colourful TV test image, combined with the rainbow and everyday LGBTQ+ silhouettes. All profits go to the Get Real Movement. 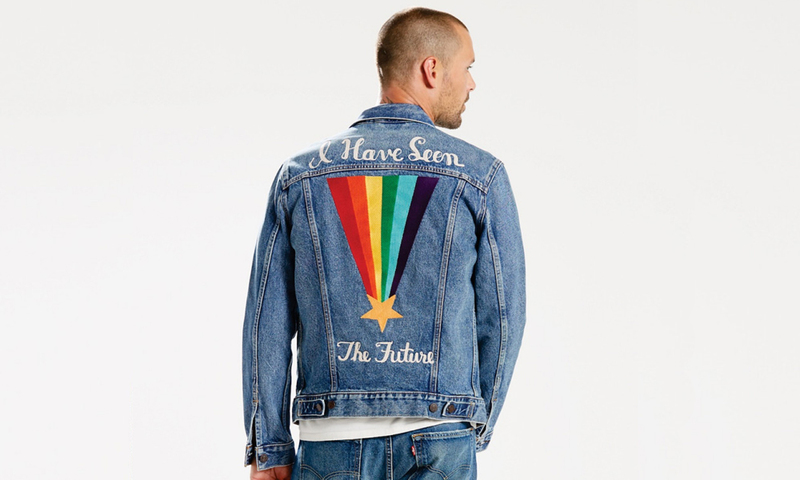 Levi’s fifth annual Pride collection celebrates inclusivity, acceptance, diversity and love with gender-neutral pieces including a rainbow-embroidered Trucker jacket, sleeveless tees in white and black, graphic logo tees and even 501 original cut-off shorts with rainbow details. 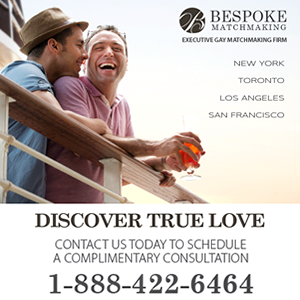 One hundred per cent of net proceeds go to the Harvey Milk Foundation and Stonewall Community Foundation.